I have been having major shoe cravings lately. All I want to buy is shoes, and I have no real idea why haha. I’ve justified my shoe craving by saying that flats – especially ones for summer – are a great investment. I am a definite heels girl (no surprise there!) but in the summer I find myself walking so much more while at work and thus turn more frequently to flats. All of the above options would be great to wear to work – except the gold glitter ones which, come on, had to be on this list since they are so darn cute. Those i would wear on the weekends, for sure. 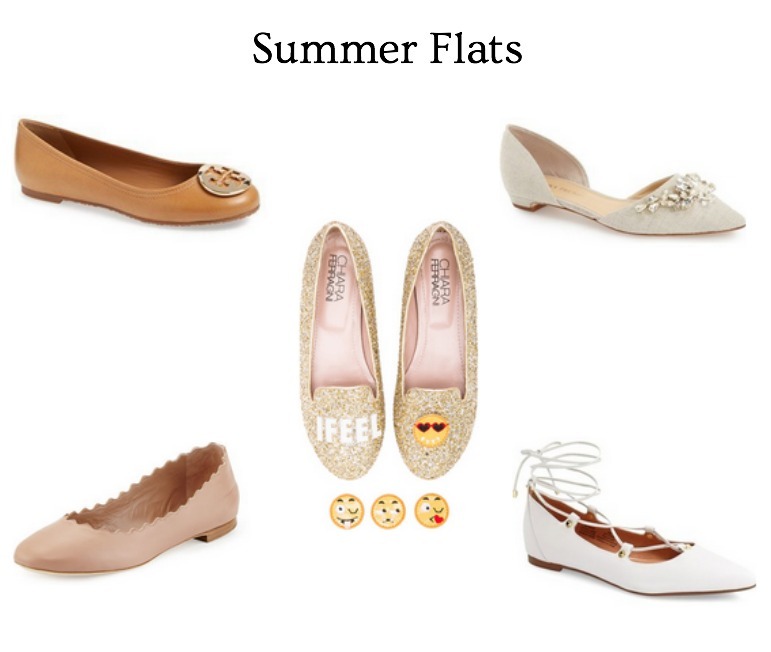 Do you wear flats more frequently in the summer? What items are you finding yourself craving this summer? I’d love to hear your thoughts in the comments below! Have a great day everyone. "How To Pick Your First Suit"
All those fun sparkly flats! I want all of these! I usually end up wearing flats more in the summer for the same reason as you. I'm traveling more and walking around more. I alwayssssss crave shoes though haha. That's my guilty pleasure. Exactly! It's so much better to just have the ability to move around more without thinking about your feet being in pain! Haha shoes and rings/necklaces are my guilty pleasure! Ugh I need flats soooo bad! I have been wearing Birks everywhere but they kick up gunk into the shoe and on New York City sidewalks who knows WHAT that is haha. Ah i know EXACTLY what you mean with Birks (any sandals really) kick up stuff on your leg – its the grossest feeling! So annoying. I wore flats a lot on the weekend but rarely for work. I love the fun emoji ones! That makes sense – perfect for the weekend when you are busy running errands!